Rev. 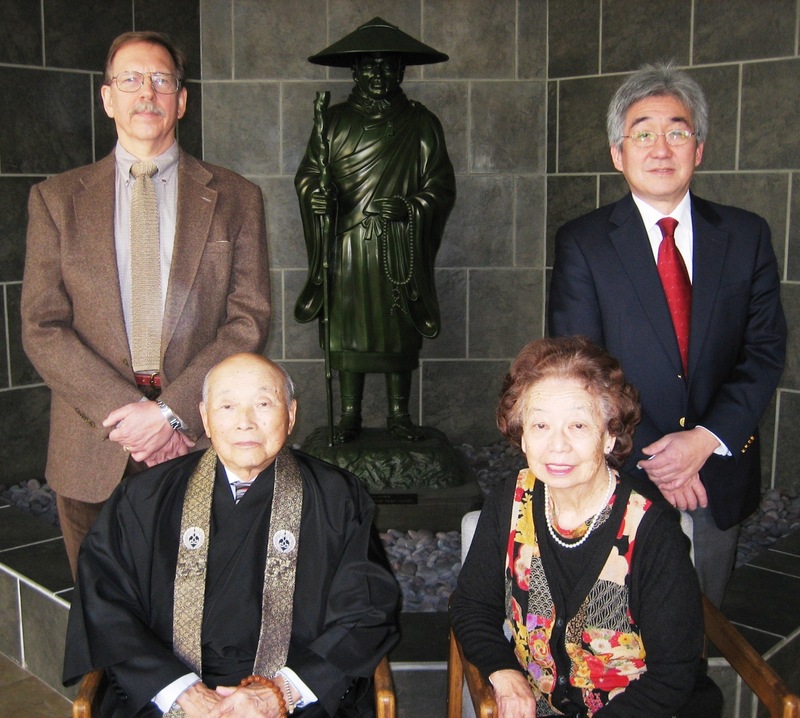 Seishin Kiyoshi and Mrs. Marrie H. Yamashita, members of the Berkeley Buddhist Temple, established a $100,000.00 Institute of Buddhist Studies Scholarship Endowment on December 29, 2010. The purpose for the scholarship is to support BCA ministerial candidates studying at IBS, IBS graduates who wish to study for an advanced degree at Ryukoku University, and prospective ministers from Japan who wish to study at IBS and serve in the Buddhist Church of America. The donation is part of the BCA 21st Century Campaign. The assets of the fund will be managed by the IBS Board of Trustees. In keeping with prudent fiscal practices, only income is to be used. The IBS Scholarship Committee, comprised of the Director of the Center for Contemporary Shin Buddhist Studies and the Dean of IBS, will determine the distribution of the scholarship. Rev. and Mrs. Yamashita expressed their sincere intent to support the BCA ministerial students who wish to serve the BCA. â€œThe future of Jodo Shinshu in America is dependent on the strong ministerial education that is being provided by IBS, and therefore, we wish to do our part in supporting that endeavor,â€ said Rev. Yamashita. Rev. Yamashita was the former Director of the Bukkyo Dendo Kyokai, America, Inc.
Dr. Richard Payne expressed his gratitude to Rev. and Mrs. Yamashita for their generous contribution to the IBS and the future of ministerial education. Present at the signing of the Memorandum of Understanding was Rev. Dr. David Matsumoto, resident minister of the Berkeley Buddhist Temple, and Director of the Center for Contemporary Shin Buddhist Studies, as well as, Rev. Dr. Seigen Yamaoka of the IBS faculty.